Welp, Universal can go ahead and take all our money. 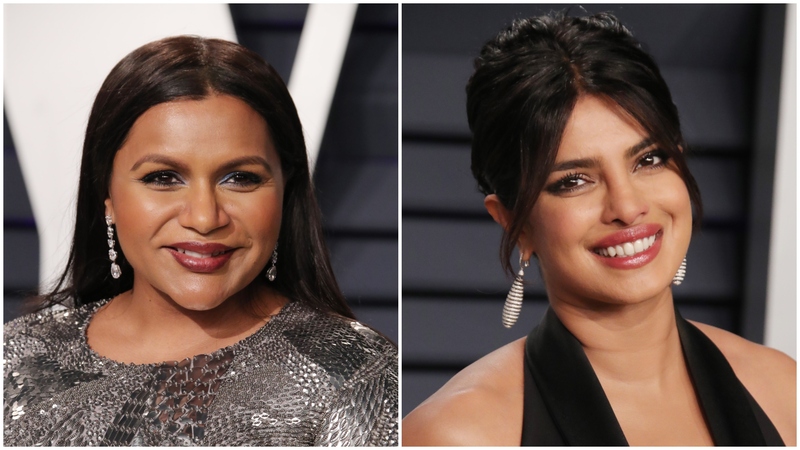 Per Marie Claire, the production company won a hot bidding war over the rights of an as-of-yet untitled but reportedly brilliant comedy starring Mindy Kaling and Priyanka Chopra. As far as buddy films go, we can’t think of a better duo at the helm — especially considering how close to home the plot of this wedding caper hits for Chopra. The film, which takes place in America and India, tells the story of a huge Indian wedding and the ensuing culture clash it creates. In December 2018, Chopra married Nick Jonas in a huge and glamorous Indian wedding. Could this be a case of art imitating life? Any real rom-com fan surely understands the weight of those words. ICYMI, though, here’s a quick reminder. Crazy Rich Asians was the box office smash of 2018, earning a slew of award nominations and wins (not to mention maintaining a near perfect Rotten Tomatoes score). My Big Fat Greek Wedding was the 2002 box office smash no one saw coming. Despite a small budget and limited theatrical release, it spent almost a year in theaters and went on to become the second-highest-earning rom-com in history, behind Pretty Woman. So, being dubbed a hybrid of these two movies is practically being paid the highest compliment. This wedding caper isn’t Kaling’s only hot project she has in the works. Earlier in the year, a title she scripted, Late Night, similarly created a buzzed-about auction. Amazon Studios won the rights to it for $13 million — a record for a U.S. rights deal at Sundance, according to Deadline. That film, which is slated for June 7 release on Amazon, will star Emma Thompson. And let’s not forget that Kaling is also working with Matt Warburton to adapt 1994’s Four Weddings and a Funeral into a modern TV series for MGM Television and Hulu. We say ‘I do’ to all of the above, but we really can’t wait to toast Kaling and Chopra’s success.